Norris Motorsport have built some of the fastest CVH RS Turbo engines around and have developed an unprecedented knowledge base for getting maximum power out of such a small unit. Introduced in 1980, this engine has been available in various capacities over the years from 1.1 to 1.9. 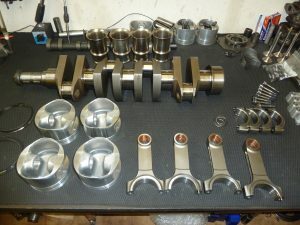 However most tuning and engine rebuilds are based around the 1600 unit, although we offer all variations in capacity depending on requirements, through the use of either the Ford 88mm crank or custom Farndon steel items. Beyond 300bhp the CVH block suffers with cracking, made worse these days by old age, so we advise the conversion to our “black top” CVH using the later black top zetec bottom end.